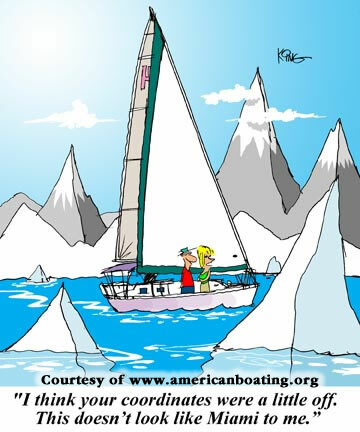 If you have a love of the water and boats, the American Boating Association website has a lot to offer you. Members and non-members alike find tremendous value at the ABA website. Whether you are currently a member or a visitor exploring the site for the first time, you'll benefit from exceptional offers, including affordable boat insurance, boat financing and more. And many more discounts, benefits and perks. Since 1997, the American Boating Association (ABA) has not only offered tremendous benefits and valuable discounts to members and non-members, we have also worked to promote boat safety, affordability, growth and a clean environment. ABA has created an impressive list of benefits that owners of powerboats, sailboats, yachts or personal watercraft will appreciate. In fact, even those who aren't members and don't own boats, as well as those who are in between boats, find themselves drawn to ABA because of the exceptional offers and extensive list of benefits. Over 30,000 boaters and boat enthusiasts across the United States are members of the American Boating Association. For just $15, you, too, can join their ranks and take advantage of ABA's exceptional benefits and services. You can even get a 1-year membership FREE just by using select programs offered by the American Boating Association. From finding accurate boat values to getting the most effective fishing tips, if it has to do with boats, you'll find it at the American Boating Association. Welcome aboard! Join the American Boating Association Today!